Ash K. is Northern California's Funniest Magician. 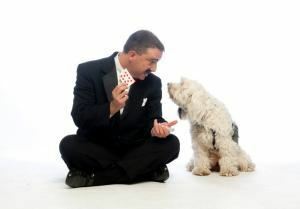 Whether for a corporate function, private party or magic for kids, Ash K. will amaze and amuse. Ash can act as your M.C., perform Close-Up/Strolling Magic as he mingles with guests, or be the focal point of your event with acts ranging from 10 minutes to his full-hour show. Always in his comic style, Ash does every kind of magic, from making things and people disappear, appear, magically restored after complete destruction, float, or even reveal their secret thoughts. Contact us for Corporate & Private Events or visit our website using the link below. Already a fan? Say so on Facebook!